Sleep apnea syndrome has been gradually taken to a serious threat of the most common illnesses to human health, has become invisible killer of life-threatening at recently 30 years. Sleep apnea syndrome prevalence rate is 4% in the population, and the rate is 20% to 40% in people over 65 ages. The main feature of sleep apnea syndrome is that the patients have recurrent apnea during sleep and cause hypoxia leading to the ultimate consequences of cardiovascular and cerebrovascular disease, diabetes and other damage to many organs. 80% of drug-resistant hypertension, 50% - 70% of congestive heart failure, nearly 50% of atrial fibrillation and diabetes has relationship with sleep apnea syndrome. Since 1981, Dr. Sullivan from Australia firstly use continuous positive airway pressure breathing machine (CPAP) to treat the sleep apnea syndrome (OSA). Because of its safety, effective, less side effects, and efficient treatment characteristics, CPAP get more and more widely used. CPAP adapt to all types of sleep apnea hypopnea syndrome treatment, especially more effective for moderate and severe obstructive sleep apnea syndrome patients. In the various methods of treatment of sleep apnea syndrome at home and abroad, CPAP treatment accounted for 70-80% utilization. 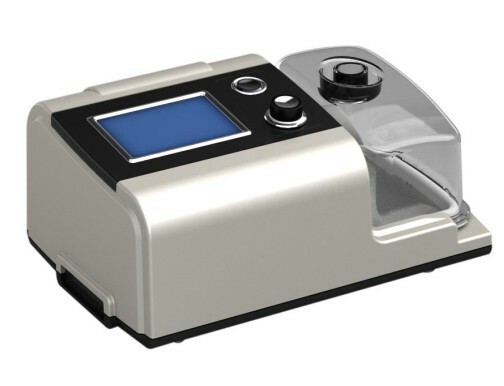 Our company is grand to launch the Dreamy series CPAP/Auto CPAP, it has accurate and stable pressure output, incorporate humidifier, ramp up time setting and Auto On/Off functions, those will provide more comfortable during the sleep. Look forward to your finding more features. J、Epworth: To estimate the effect of the treatment by themselves with Epworth.